Our Kentucky Solar Partnership resources are coming soon! Education: We encourage homeowners to explore low-cost efficient energy technologies, offer workshops and sponsor events that focus on these topics in conjunction with our other program areas. 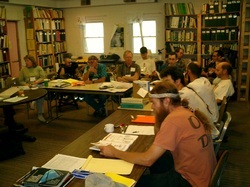 Community Outreach: Many people and organizations rely on the Kentucky Solar Partnership. We continue to support energy advocacy in the state, and ensure all of the resources that have been gathered over the years are available for anyone to access. 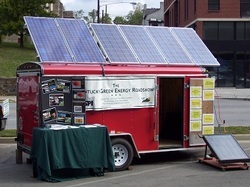 Demonstrations: Our solar panels and solar hot water system have saved us a lot of money over the years! We have on-going demonstration projects like tracking our solar energy savings and building an alternative energy trail.